CLOSED NOW! 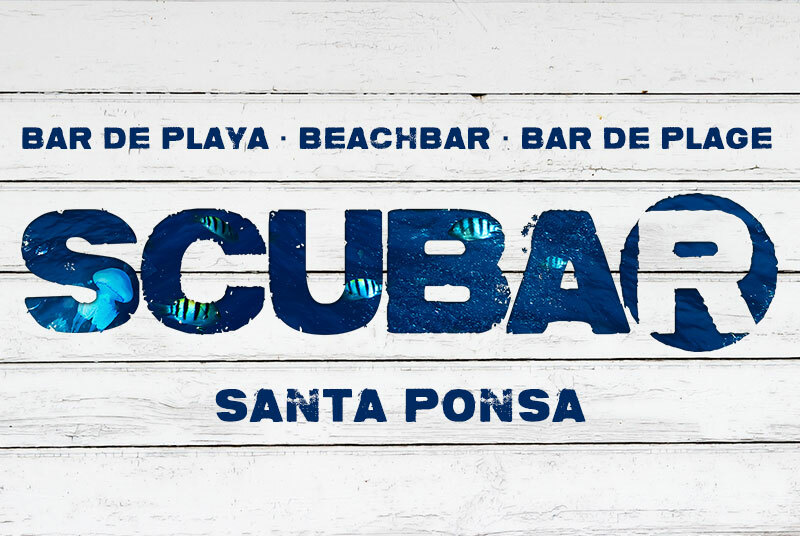 Opens at 12 p.m.
Next to the "Playa Pequeña" (small beach) and near the Club Nautico (Marina) of Santa Ponsa, the Scubar is a lovely new beach-bar opened all year long. Decorated in a maritime style, the Scubar has a large terrace with a beautiful sea-view, free parking accommodations and a children's playground just on the other side of the road. The Scubar offers, beneath all kind of drinks and cocktails, a large and diversified menu card with international food served all day long until closing time. If you are a little hungry just order a hot-dog, a sandwich, a salat or some nachos. If you are more hungry you may prefer our chili con carne, our freshly prepared pizzas or our fresh pasta. Of course the Scubar offers the possibility to take-away drinks and food down to the beach or to your hotel. The very large playroom in the basement has a pooltable and a kicker. The Scubar is also the perfect place to organize your birthday-party, your private event or even your wedding.